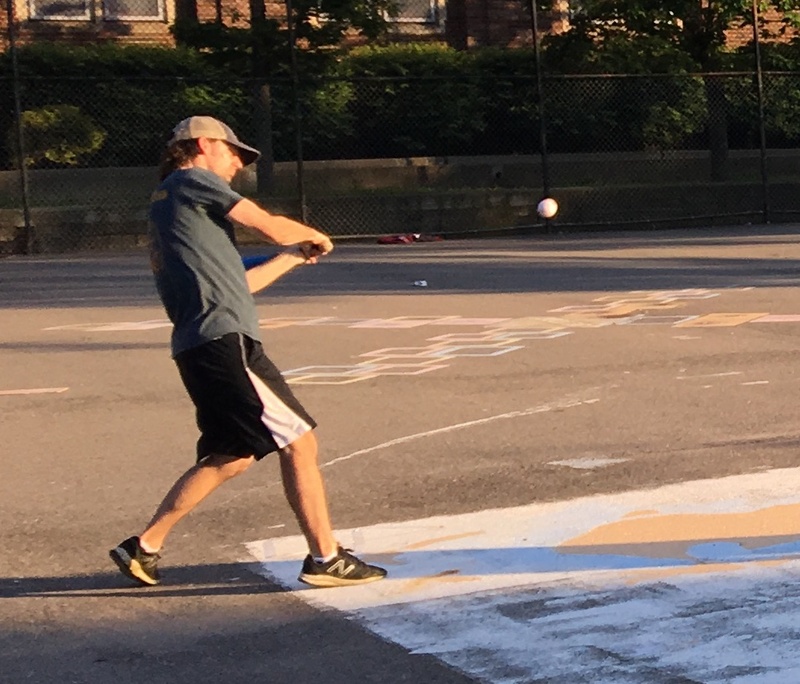 Bob had a legendary performance against Eastbound & Dahn, going a perfect 9-for-9 with 3 singles, 4 doubles, a triple, a home run (the cycle), 6 runs scored, and 3 RBI. Bob fell just one hit shy of the single-game record, going a perfect 9-for-9 at the plate and hitting for the cycle, as Questionable Outfit rolled past Eastbound & Dahn. 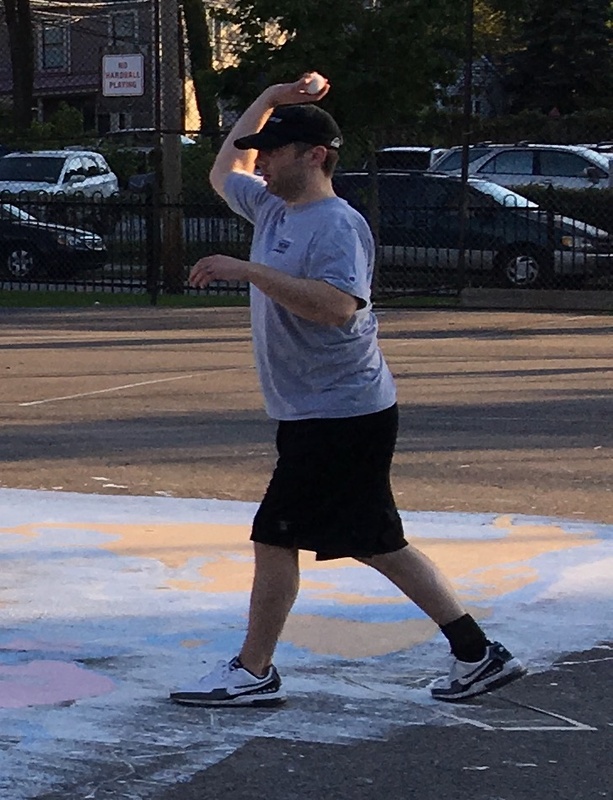 Tom had six hits, including three homers, and Mike contributed six hits and a complete game win on the mound for Questionable. BK led of the game for Eastbound with a double, but, as he did throughout the game, Mike escaped without damage, retiring the next two batters, Mark and Nate, to strand the runner and end the inning. Questionable jumped out to a lead in the bottom of the first against the Eastbound starter, BK. Bob doubled, and Tom followed with a two-run blast, putting Questionable ahead 2-0. Mike followed with a single, but when Miller grounded out for the first out of the inning, Mike was caught between second and third for the second out, ending the inning. Helal doubled to start the top of the second, but once again Mike avoided trouble. He got BK to fly out to the mound, and Mark flew out to left to end the inning, stranding the runner. Bob tripled to lead off the bottom of the second, and for the second consecutive inning, Tom followed with a two-run homer, putting Questionable ahead 4-0. The next batter, Mike, tripled, and Miller drove him in with an RBI single to extend the lead to 5-0. Bob then singled to put runners on the corners, but Questionable couldn’t add to their lead. Tom grounded out for the first out of the inning, and Bob was caught between bases for the second out. Eastbound started the third inning with a hit, their third consecutive inning starting with a baserunner, when Nate led off with a single. Mike fanned Helal for the first out before allowing a single to BK, which put runners on the corners. Eastbound had two on, but Mike got out of another ja, getting Mark to groundout to center to strand both runners and end the inning. BK gave up a single to Mike to start the bottom of the third, and two batters later, Bob hit a two-run homer to make the score 7-0. After a Tom double, Mike clubbed a two-run blast, and Questionable led 9-0. BK got Miller to groundout for the second out of the inning, and Questionable had opened up a seven run lead. Eastbound would cut into the deficit in the top of the fourth. Helal hit a one-out double, and BK followed with a two-run homer to left. After Mark singled, Nate hit an RBI double, scoring Mark from first and the score was 9-3. Mike then retired Helal for the second out of the inning, but Eastbound had narrowed the margin to four runs. Questionable bounced right back in the bottom of the fourth. Bob doubled, and Tom followed with a double to put runners on second and third. Mike hit an RBI single, clearing the bases and pushing the score to 11-3. Miller and Bob both followed with singles, and Questionable Outfit had a six run lead, the bases loaded, and no outs. Remarkably, BK escaped the inning without further damage. Tom flew out to shallow left for the first out of the inning, and Mike grounded out to center, stranding all three runners. BK singled to start the top of the fifth, and he scored from first on a Mark RBI single, cutting the score to 11-4. Mike then retired Nate and Helal to strand Mark at first, ending the inning. Eastbound had narrowed the deficit to seven runs, but Questionable Outfit put the game away in the bottom of the fifth. Thanks to a series of errors, Questionable doubled their lead. Miller tripled to start the inning, and Bob drove him in with an RBI double to make the score 13-4. Tom then crushed his third two-run homer of the game, and Questionable led 15-4. Mike, Nate, and Bob each singled to load the bases for the second time in the game. Tom hit an RBI single, driving in one run, and the score was 16-4. Mike had a second opportunity for a grand slam, but he grounded out to right. One run scored on the play, and Questionable led 17-4. Miller hit his second single and third hit of the inning, driving in another run, and the lead was extended to 18-4. Bob then doubled to put runners on second and third, however, BK finally got out of the inning when Tom grounded out to center, stranding two runners. The seven run inning put Questionable Outfit ahead 18-4. After the huge bottom of the fifth, Questionable Outfit wrapped things up quickly in the top of the sixth. 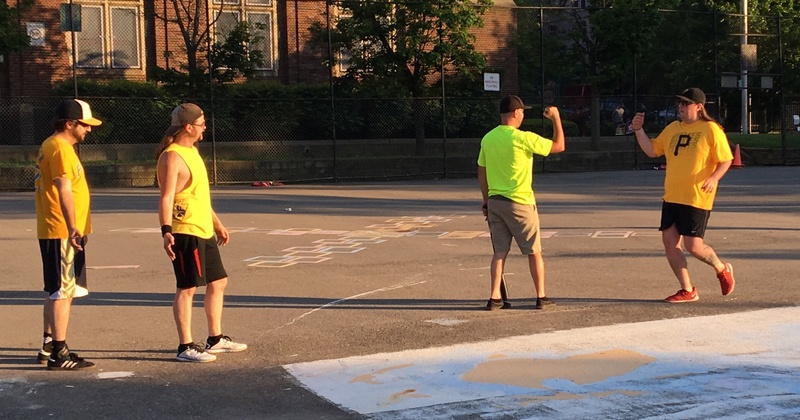 Mike sent BK and Mark down in order, ending the inning and the game and giving Questionable Outfit the 18-4 win. 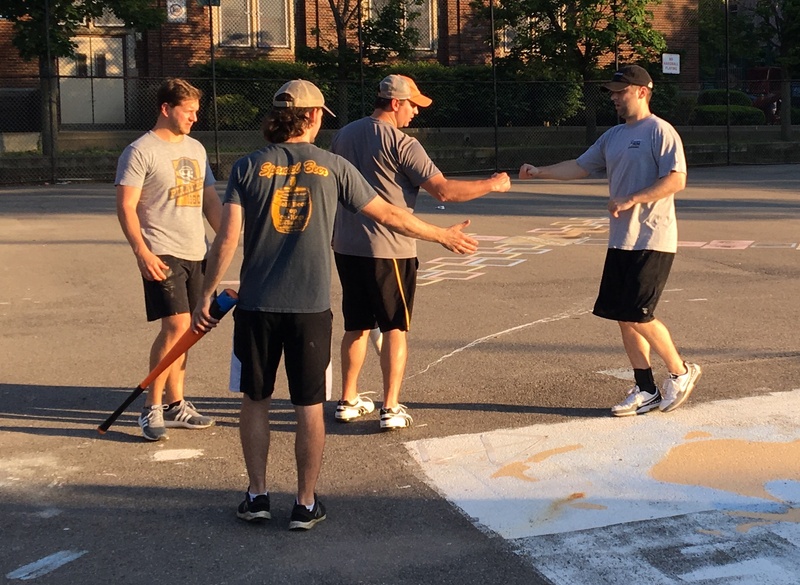 The win moved Questionable to 5-0 on the season, and the loss dropped Eastbound & Dahn to 2-3. – Mike pitched the complete game win for Questionable Outfit, allowing four runs on ten hits and striking out one in six innings. – BK took the loss for Eastbound & Dahn, giving up eighteen runs on a single-game record tying twenty-six hits in five innings pitched. – Bob led Questionable Outfit on offense, going a perfect 9-for-9 and hitting for the cycle. In total, he tallied three singles, four doubles, a triple, a home run, six runs scored, and three RBI. – Tom went 6-for-9 for Questionable with a single, two doubles, three homers, six runs scored, and seven RBI. – Mike also had six hits for Questionable, going 6-for-8 with four singles, a triple, a homer, four runs scored, and five RBI. – BK led Eastbound & Dahn on offense, going 4-for-6 with two singles, a double, a home run, two runs scored, and two RBI.